Motivating employee to work better in order to succeed in their job is important to ensure the success of the company. Organization can enhance the motivation by recognizing employeeâ€™s hard work and provide an environment that meets their basic emotional drives to perform. 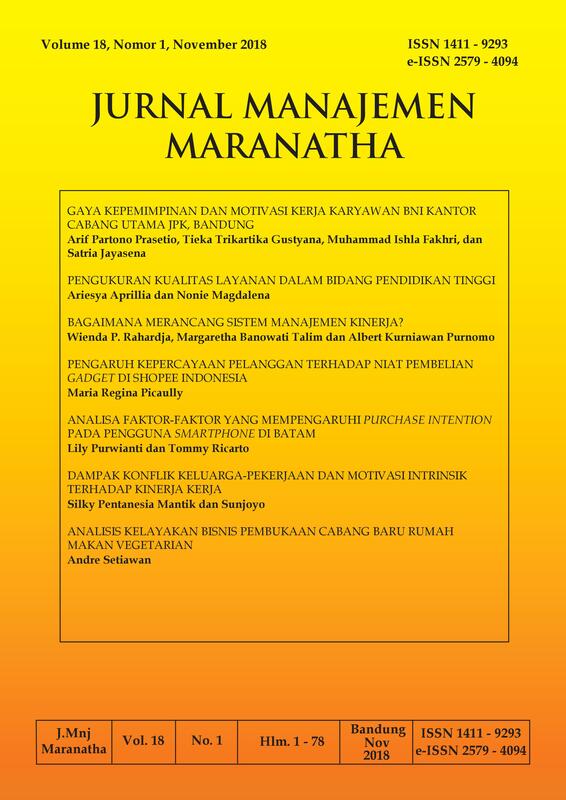 The present study aimed to explore the leadership style on employee motivation in one of the main branch of public banking in Bandung. Data had been collected using questionnaire and distributed by nonprobability sampling techniques. The instrument employs 18 items on leadership style and 18 questions on motivation. The study found that the leadership style matched with employee expectation and employees were highly motivated. The results also showed that the degree of conformity between leadership styles has a significant influence on employee motivation. Organization should encourage their leader to continously implement style that drive the motivation in order to get the best result from the employee.